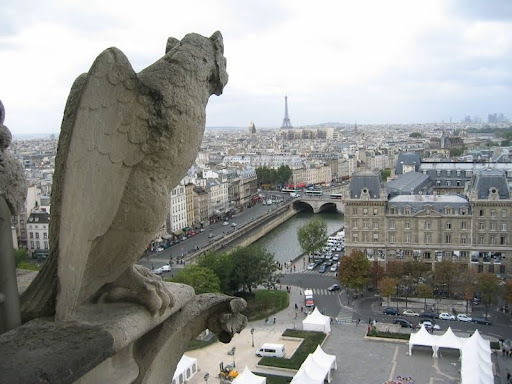 In my opinion the most splendid view of Paris rooftops is from the towers at Notre Dame Cathedral. The best part is the cathedral’s location in the heart of Paris where you can see everything important close up and intimate. History comes to life as you wander the ancient corridors! If you’re the kind of person that likes to walk the side streets this is a great view to remind you of every path taken, or map out new areas to explore. 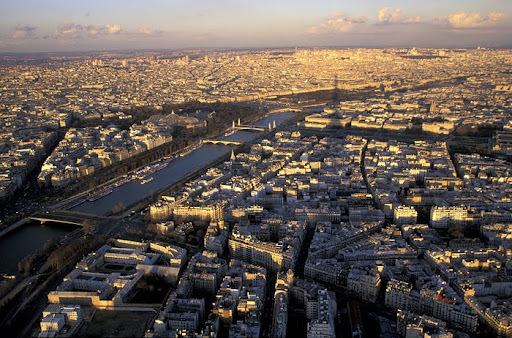 From the heights you can identify the Pantheon, Musée d’Orsay, Invalides, Eiffel Tower, Saint Chappelle, Louvre, Pompidou Center, and Sacre Coeur. 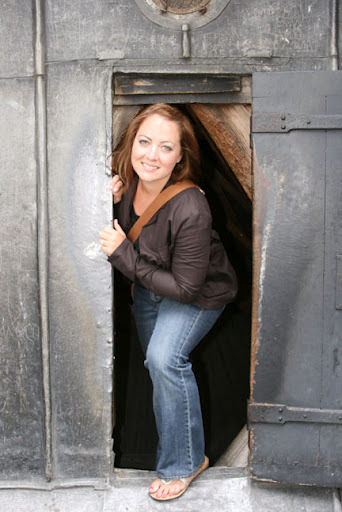 Plus you get to climb the original stone spiral staircase, visit a conference room perched in the heights, get friendly with the gargoyles, and commune with bells of Quasimodo! 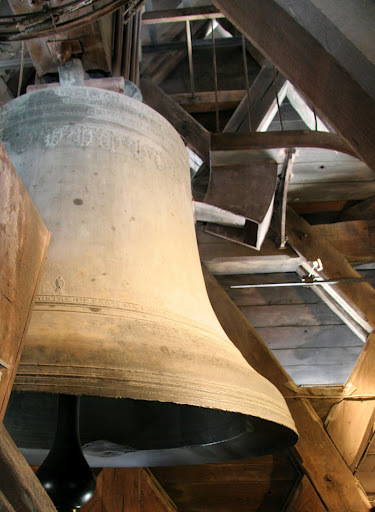 The singular bell in the south tower weighs 13 tons. Entering the cathedral itself is free to the public from 8am to 6:45 daily. Visiting the towers is not free, however. You will find the entrance to the towers on the left (or north) entrance on the side of the building, they are open from 10am to 5:30pm (except they’re closed from 12:30pm to 2pm on Saturdays). Entrance fee : 5 euros. 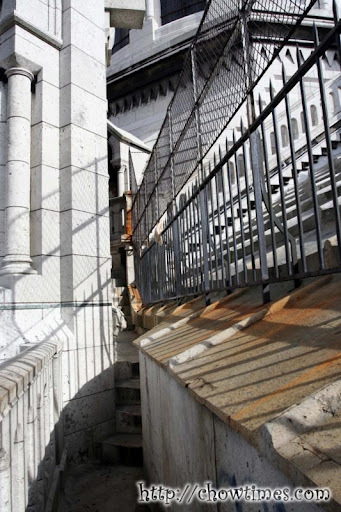 With its 387 steps to the top this visit is not recommended for persons of reduced mobility. Definitely the most visited look-out tower in the world. It’s worth a visit while you’re in Paris, but I have always preferred staring up at the magnificent tower than looking down from it. Now, when I accompany people to the eiffel tower, I go straight to the coffee shop on the first floor while they visit the sights. I truly believe the view on the first floor is better than the other levels as it is already well over the treetops and rooftops you can already see as far as you’re going to see. To go any higher means you are simply further away from the sights you want to see, building become miniatures difficult to distinguish, and cloud cover can get in the way of your view. The glass elevator ride to the third floor is not recommended for people who are afraid of heights or elevators. Who hasn’t dreamed of walking on the rooftops of Paris? Here’s your chance with the Sacre Cœur Dome Tour. The basilica is a bit far from the city center, but the rooftop tour is an unforgettable experience. The tour climbs quite a few stairs and pops out a little door on the side of the left spire. Guide rails lead you as you ascend the rooftop to the dome where there is a proper porch around the dome offering a 360º view. The basilica is one of the most solemn church visits in Paris they still insist on silence and no photography permitted inside. The basilica is open to the public with free admission from 6am to 11pm. With the dome tour you also get to tour the crypt as well, all for only 5€. The entrance for this Dome & Crypt tour is down the stairs on the left side of the building.